A pragmatic quote from Julian Bleecker’s deck of slides. It basically describes one the purpose of design fiction work, i.e. 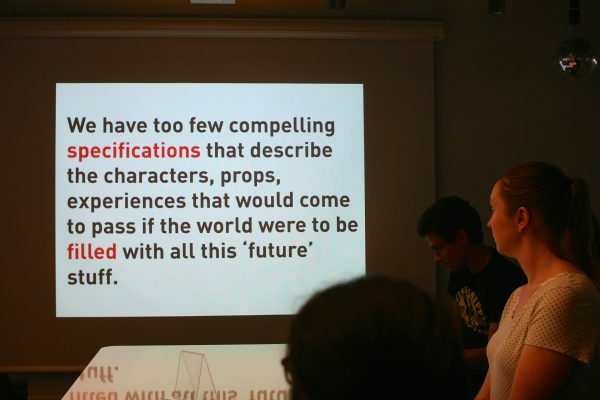 the specifications of the social/material/cultural context in which the « stuff » of the future is supposed to be used. While ethnography consists in going into depth on the everyday lifes of people in the past or present, the speculations that happens in design fiction projects generally focuses on describing the (near) future of such experiences.